An atmosphere of warmth in impressive surroundings - where ever you are in the building, you will always be welcomed by professional and friendly staff in this space. With a choice of serviced, non-serviced and virtual offices, all of your business requirements are met, thanks to flexible leases and inclusive pricing. Located in the heart of Brisbane's CBD, within a three minute walk of central railway station and Queen Street Mall. A number of restaurants, hotels and shops are conveniently located close by. A combination of premium private office and co-working solutions are available. The space boasts a number of fantastic amenities that include; a rooftop cafe, exercise studio, media room, parents room and relaxation spaces. There is a showers and towel service. The interior is elegant and sleek. Meeting rooms are well-furnished with high-tech facilities. Bike storage is available for those who cycle to work. Located on Adelaide Street in an award-winning and National Heritage listed building, in the heart of Brisbane CBD. With direct access to Central Station, the space is extremely well-connected by public transport. For those who travel in by bus, there are several bus stops situated nearby. Queen Street Mall is a five minute walk and Brisbane City Botanic Gardens is 14 minutes away. 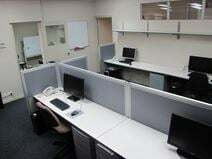 Office space prices ranging from $368 - $2000 per month. This open-plan co-working space is available, conveniently located close by to the Fortitude Valley train station and bus stops. Take advantage of a furnished space, with large, spacious desks and comfortable chairs. You'll have access to a high-speed NBN internet connection, a meeting room for up to six people, use of the fully-fitted kitchen, plus cleaning and maintenance is included in the cost. 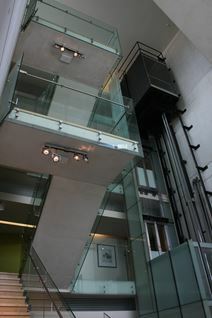 The centre is housed in a large office building in the heart of Brisbane’s CBD overlooking the Brisbane River. It is a fully refurbished Grade A building close to the offices of many leading companies. The centre is conveniently located with Roma Street Train Station only a 5 minute walk, City Cat and Ferries 200 metres away and Brisbane International Airport only a 30 minute drive. 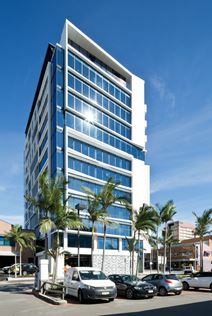 This cutting-edge, eco-friendly business centre is enviably situated in Brisbanes Fortitude Valley. It offers turnkey offices with all-inclusive costs and the usual range of corporate amenities. It is accessible by public transport. Designed by leading architects Nettleton Tribe and incorporating a 5-star Green Star office design, this is a premium address in the heart of Brisbane’s fastest growing commercial precinct. This really is the one of a kind office space offering all members the space they need for growth and development. A brand new, spacious office space located in Emporium district of Fortitude Valley. Close to a wide variety of amenities such as restaurants, cafes, bars, retail venues, and facilities like gyms, supermarkets, and pharmacies, this centre is a prime location to locate your business. Connected to Fortitude Valley and Bowen Hills train station in less than a twenty minute walk, with end-of-trip facilities, bike and car parking onsite, this centre is a prime option regardless of your travel method choice. This modern building offers functional office space and warehousing facilities. This centre is situated in the centre of Brisbane's southern industrial area just 40 minutes’ from the Gold Coast. This centre has a number of excellent facilities that included meeting rooms and reception services. This centre is situated in the centre of Brisbane's southern industrial area just 40 minutes’ from the Gold Coast. 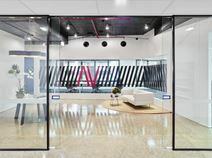 Locates in Seventeen Mile Rocks, Brisbane, this centre is suitable for small business owners and professionals looking for a corporate level office fitout. All offices on offer are external with windows and are therefore naturally lit and are secure with furniture, free high speed internet connection, VOIP phone access, and at least one off-street park per office. Less than five minutes' walk to Monier Village shopping centre where you can access food and beverage facilities, ATMs and grocery stores. Connected to major arterial roads and only a 15 minute walk to Darra train station. As part of a multi-purpose complex close to Brisbane's St Andrews Hospital, this boutique workspace offers fully furnished offices suitable for up to 15 people, and has quick access to a retail precinct, gymnasium, entertainment pavilion and a 50m Michael Kilm designed lap pool. A professional reception service, telephone and internet bundles, and meeting rooms are just some of the fantastic amenities you can take advantage of in this space. Flexible terms are standard, and everything is covered with all-inclusive pricing - though you can choose to take extras including secure car parking spaces. Fresh food markets are minutes away, the free city bus is right on your doorstep and some of Brisbane's best shopping is just a stroll away. This impressive centre offers office spaces ranging from 30m² – 250m² within a vibrant technology park on Brandl Street. The centre benefits from excellent access to public transport – Eight Mile Plains Bus Station is a short walk from the building, whilst those commuting to and from the office by car will find ample car parking on-site. The technology park is surrounded by a number of cafes, shops and eateries. 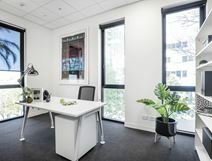 With a convenient location at the heart of Fortitude Valley, this office is within easy walking distance of shops, restaurants and public transport, with Fortitude Valley Station sitting within easy walking distance of the business centre. Offering the perfect solution for businesses looking for a central address and unique work environment, these serviced offices are comfortable and well equipped. The centre is in Fortitude Valley. You can easily come to the centre by bus (Brunswick St at Water Street) or by train (Fortitude Valley station). There is just few minutes walking distance to the train station and the bus station.The centre provides a variety of office spaces. The centre provides high speed internet, kitchen facilities, meeting rooms, printing station, private phone booths, concierge services, bike storage and storage lockers for your daily office use. Stunning modern office space that caters to all types of business. The space instills creative development and innovation. The space offers many premium perks some of which include board room and conference facilities for client meeting to go undisturbed, high speed Wi-Fi and training rooms for development and creativity. It is an exciting location just 950m to Queen St Mall, central to the cafes and lifestyle of both South Bank and West End. You are more than able to leave the stress to the professionals and concentrate on what you do best. Located in Brisbane's West End, next to the river and a range of local amenities, this building provides modern offices on an all inclusive rental basis. Located on Brisbane's premier riverside office boulevard, this centre boasts panoramic views of the the river. A centre offering stylish executive offices with impressive board and meeting rooms, complete with printer copiers, VOIP phones, high-speed fibre-optic internet, and professional on-site staff to greet clients, answer phones and assist with admin tasks. A prime location to access cafes, restaurants and designer shops with great accessibility via all means of transport from bus and train, to bike, car and foot. Situated in the heart of Brisbane, this centre is close to Queen Street Mall, and offers wonderful views. These offices are fully furnished and available on flexible terms to suit your needs. 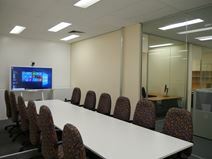 Meeting and board room facilities also available. Located two minutes walk from Central Railway Station this centre, housed in a 25-level Grade A office building, is in a prominent uptown district of Brisbane. Become a member of a this co-working space and gain access to a large boardroom and meeting spaces to conduct your client meetings and presentations, high speed WiFi, copy-printing facilities, and a concierge to meet your guests. A stroll away from all the facilities you could need on a daily basis, this centre is a great place to set your business in. This cool, modern co-working space is situated in the heart of the popular Golden Triangle area of Brisbane. Flexible contracts are available starting at three months, while special offers are currently running. Clients benefit from excellent access to public transportation - Central Station is just minutes away from the office building and regular local bus services operate adjacent to the space. Available in this central building is offices of varied sizes for contracts of any length, whether short or long-term. Benefit from mezzanine views whilst maintaining your privacy, and fantastic facilities including air-conditioning, shared kitchen, shower facilities, boardroom access and inclusive rent. Offices are available on a furnished or unfurnished basis, allowing you to make the best choice for your business needs. Create a memorable first impression for your clients with sensational views from level 19 overlooking the Brisbane River, Story Bridge and Moreton Bay, offering the highest standards of interior styling and immaculate boardrooms and meeting rooms. Operate with ease, backed by the latest information and communications technology, highest business grade broadband with guaranteed 99.99% uptime, global call forwarding from a single number, online booking of meeting spaces around the world, global VOIP network to save you money and disaster recovery back-up to keep you connected. The building has been home to many large national and international businesses over the years. The floor features a luxurious furniture fit out including granite floors and original artwork from Max Mannix and Pro Hart. Based within one of Brisbane's most prestigious addresses, this centre features amazing river views from the comfort of the spacious serviced offices on offer. An in-house cafe offers the ideal place for a quick coffee break, while professional meeting rooms can be booked to provide a corporate and comfortable place to host meetings and conferences alike. Based within Brisbane's "Golden Triangle" this office space is in a prime location, surrounded by some of the city's best bars, restaurants and cafes. This building is ideally situated in the Brisbane financial district within a picturesque riverside setting. It offers the city's best: shopping, restaurants and cultural precincts alike and is well supported with all modes of transport infrastructure at hand, making commuting to and from the office simple and stress-free. It is only 20 - 30 minutes’ from Brisbane Airport and a 5 minute brisk walk from Central Station. Set in one of Brisbane's most prestigious commercial addresses and overlooking the Brisbane River, this building incorporates a plaza area that provides waterside access for the public via the City Cat terminals. It also combines ground floor retail space and restaurants and a premium standard of office accommodation. Services and facilities include state of the art Internet and network access, professional reception services and modern fully furnished offices. Located in Brisbane near the waterfront with excellent transport access to the rest of the city. The Pacific Motorway is also within 2 miles away and the area contains a number of bars, restaurants and café. This award-winning environmentally friendly serviced office centre provides light and spacious serviced offices with superb views and a professional business atmosphere. The centre is conveniently close to many great amenities including cafes, restaurants, bars and shops. The building is situated close to the City Cat Ferry Terminal as well as Auchenflower Railway Station and Morningside Train Station. Inhabited by some of the most influential business and government offices in Brisbane this building benefits from a prominent Eagle Street address with stunning views of the Brisbane River. The business centre is on the 34th floor and provides 40 individual offices that have been architecturally designed with a modern fit out and European furniture. The office is located on in a supreme position, meaning the external offices have incredible views of iconic Brisbane locations such as the Story Bridge and Kangaroo Point cliffs. This centre, located on level 18 of this central Brisbane office building, offers breathtaking sunrises and river views. The on-site team are available to help with smaller issues, so you can concentrate on expanding your business. Flexible terms and all-inclusive rents mean you can move in and be up and running without a worry. Buses stop directly outside this space, offering direct transport to the rest of Brisbane without issue. Boasting breathtaking riverfront views, this centre offers exceptional amenities like fast business grade internet (400/400), full reception services, meeting rooms and business lounge access as well as kitchen and end of trip facilities. Connecting you to other centres within it's network you will be able to participate in networking opportunities throughout Brisbane CBD, Melbourne and Sydney locations. Surrounded by local cafes, bars, and restaurants and accessible via avenues of public transport including Eagle Street City Cat stop, Roma and Central Train Stations, Bus ways and bike paths this is a great central location for your business to develop. Just announced. Discover levels of dedicated desks, hot desks, and private offices. Regular social and professional events are held. Phone booths are available for quiet video-chats and phone calls. There is a cleaning service operating round-the-clock to keep the work-space neat and tidy. Situated in the heart of Brisbane City, on Edward Street. Moments' walk from the space there are numerous bars, shops, and restaurants. Central train station is a two minute walk away. Parking is accessible at King George Square car park. Wickham and King Edward Park are just around the corner. Situated within a Grade-A building, this strategically located office space enjoys a prime location in Brisbane's legal district and offers clients superior serviced offices and inclusive, high-end facilities and support services. There is a modern reception area staffed by friendly and helpful reception staff on hand to greet clients and answer telephone calls. The building has easy access to social amenities and transport links. 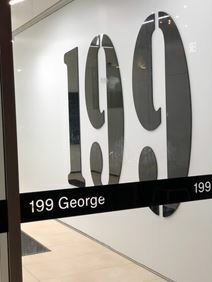 Located in the heart of Brisbane"s CBD, this boutique workspace offers private offices for between one and three people, 10 permanent desks and eight hot-desks in a shared environment. You"ll also be able to access a 12-person boardroom, open breakout spaces, plus shared kitchen facilities. The centre is located close to the financial district, and offers several fantastic options for dining and shopping. Enjoying a prime location within Brisbane's lively Fortitude Valley, this high-end business centre offers excellent facilities as well as on-site parking and is easily accessible by road whilst being close to plenty of lifestyle amenities and the central business district. Commuters travelling by rail benefit from close proximity to Fortitude Valley Station which is a short five-minute walk away from the building. You can easily come to the centre by bus (Chermside Shopping Centre interchange or Gympie Rd at The Gardens Stop 38a). It is just right minutes walking distance to the bus station.The centre provides a variety of office spaces. The centre provides high speed internet, kitchen facilities, meeting rooms, printing station, private phone booths, concierge services, bike storage and storage lockers for your daily office use. Due to undergo major refurbishments this building is situated just five minutes from the Brisbane CBD and is well connected. There is undercover parking on-site as well as views overlooking the AJ Jones Recreational Reserve.It is within close proximity to South East Freeway which tends to parallel the course of Norman Creek with Greenslopes busway station providing frequent and rapid services to the city. You really are in a prime location. A modern, free-standing prestigious building, this centre is set in office park settings with plenty of covered on-premise parking available. Meeting rooms, telephone answering, internet and reception services. This centre is located close to the Garden City Shopping Centre. Brisbane CBD to Garden City: Take the Southeast Freeway south to the Logan Road exit heading south. Turn left into Garden City Office Park. Situated in the popular Stones Corner shopping precinct, this Brisbane office space offers serviced offices, storage space, meeting rooms, plus virtual office packages on flexible short or long-term contracts. Benefit from a manned reception area offering meet-and-greet services, bookable boardrooms, plus a relaxing cafe area, all in a comfortable and professional environment in southern Brisbane. Brand new state-of-the-art facility offering fully furnished offices of various sizes, full reception service with dedicated phone answering, boardroom and meeting rooms for available at no cost to tenants, free refreshments from kitchens on each floor plus separate on-site café, CAT 5 cabling, underground parking, cleaning and electricity included. Easy access to the Gateway to the airport and south to the Gold Coast and Ipswich, and a short walk from the fine restaurants in Bulimba and just 7kms from the city. The ideal City location for the businessman who doesn’t want to be in the City. Combining inner city quality architecture and amenities with the convenience of Brookwater living this centre features a choice of 27 different office styles and sizes, meeting rooms and collaborative co-working from $499 per month. This stunning suburb is known for its real estate and gorgeous green scenery. It is just a short walk from several cafes and eateries as well as a supermarket and is easily accessible via the local bus routes, the stop is just across the road. This brand-new centre offers nine offices plus meeting and training rooms, spread across two floors. State-of-the-art technology fills each space, including high speed internet, smart-whiteboards, and climate-controlled air conditioning. Benefit from shared kitchen facilities, an on-site reception team, 24-hour video security, printing facilities and even on-site showers, all conveniently located in easily-accessed East Brisbane. These fully furnished executive suites and open-plan office space are situated on the 16th floor of this Brisbane Golden Triangle building and as such provides stunning views over the CBD and the Brisbane River, perfect for impressing clients. Close to everything Brisbane has to offer, including a great selection of cafes and restaurants, this serviced office centre is in a sought-after location. Offering a number of furnished offices that cater for up to six individuals, and support your business by providing a range of business support services on flexible terms. Close to public transport, main roads with parking on site, and well connected to the Bicentennial Bikeway this centre is easily accessible by all transport means. In the ‘Paris end’ of Brisbane, Milton has the perfect fusion of sophisticated restaurants, relaxed bars, boutique shops and fresh coffee. With the iconic Suncorp Stadium, XXXX Brewery and Park Road strip all within a stone’s throw. Showcasing floor to ceiling views of Brisbane’s best – mountains, river and city from your dedicated desk in a newly renovated office boasting a kitchen, whiteboards, WiFi, and all standard office amenities with exceptional natural lighting. 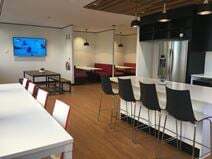 Breakout space with beanbags, bike-racks and unlimited access to tenant perks such as a tennis court, swimming pool, and BBQ area as well as showers and lockers, you have the capacity to impress your network and let work meet play. Conveniently located serviced office space boasting sweeping views over the river and central business district. Gain free access to the adjoining heritage listed Milton House which includes a swimming pool, tennis court and BBQ area. The office is filled with natural light that contrasts the polished concrete accents, and had a large balcony that will have your guests envious of your location. Accessibility can be gained via car with parking on site for tenants and two-hour parking available for guests, public transport or bicycle via the Bicentennial Bikeway. With complete end of trip facilities make the day your own. This modern building offers bright office accommodation and boardrooms. A number of excellent amenities are provided in this space, including telephone answering and secretarial services, air conditioning and access to the office 24 hours a day, so you can come and go as you please. 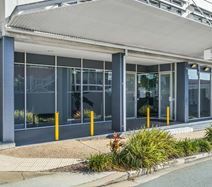 This modern centre is situated in the heart of the Redlands to the south-east of the centre of Brisbane, and offers the perfect location for building business. Situated on Logan Road Mount Gravatt Central, just 10 km from the CBD, this centre is well served by public transport. Highly suitable for a health professional or accountancy firm, this centre offers rooms available monthly or permanently, across two floors. This is a comfortable workplace, ideal for those who are currently working from home. This comfortable and contemporary boutique serviced office centre provides a range of characterful spaces that combine period charm with modern business functionality. A range of support services is available, and the address enjoys a convenient and picturesque location amongst antique shops and music stores. The centre is in close proximity to local bus services and Roma Street Station is a 15 minute walk away. Designed for creative thinkers, this space has been thoughtfully crafted to transform the way the occupants think. Surround yourself with breakout space, and meeting rooms, as well as yoga areas, bike racks and even a games area. This Queen Street office is all-inclusive, is ready fully-furnished and ready when you are, without the worry of setting up. Public transport, retail opportunities and local nightlife are all within a few minutes" walk. Modern serviced offices with broadband internet access and CAT 5 cabling. Part of a small chain of centres in Australia providing space with a high level of customer service. Meeting rooms, telephone answering and internet access. Directly opposite the GPO, this centre is located on Queen Street within the ""golden triangle"" of Brisbane's business district. Surrounded by corporates, cafés and car parking, this is the ultimate Brisbane address. In the heart of Brisbane Central Business District is where this centre can be found. Within Brisbane's Golden Triangle, this space has prime access to a wide range of amenities and services as well as public transport options. A five-star serviced office, boasting a combination of private offices, spacious co-working options, private meeting rooms, and informal meeting booths with a kitchen and breakout area, this centre has all your office options on hand to collaborate within. Stunning views from the 27th floor are on offer at this professional business centre in the heart of Brisbane"s financial district. The executive suites and fully furnished shared office space overlooks Brisbane River, Story Bridge, St. Johns Cathedral and beyond. Next door to the GPO in Queen Street, this business centre is at the very heart of the Brisbane CBD and consists of 11 private offices which can accommodate from three to six people plus 10 hot desks in an open-plan setting. Easy access to amenities and Queen Street Mall shopping precinct. Boasting a truly central location, this space offers modern serviced offices to suit all business yours. 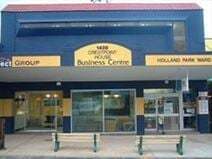 In an A grade building, corning Creek and Queen street this space is close to shops, public transport, parking and the Golden Triangle Business district. With spacial shared amenities like internal communal breakout areas and premium meeting rooms, this centre is the perfect place to set up your private office or find your co-working office solution. A range of professional services are available to assist you in building your business such high speed internet, 24/7 access, high quality reception and admin services, car-parking and bike racks, end of trip facilities, a work bar and kitchen offering complementary coffee. These Executive Suites come with a host of standard features such as high speed broadband internet access, boardroom use, air conditioning, under cover secured parking, security patrolled building, cleaning of individual offices, 24 hour access to premises, after hours message recording. 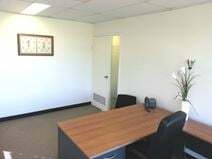 Centrally located offices, close to Brisbane CBD and coffee shops/eateries. Easy parking at nearby shopping centre for clients. This modern office space is situated two kilometres outside the CBD in the vibrant area of Newstead and offers a range of one to ten person offices alongside a brand new 100m² collaborative co-working space. The area has proven popular with organisations seeking to establish a presence just outside the hustle and bustle of the CBD whilst still maintaining easy and direct access via road and public transport. Located close-by Yeerongpilly station, this workspace offers private offices for anywhere between 2 and 4 people, meeting rooms with interactive whiteboards and videoconferencing, plus high-speed internet and inclusive local calls. Benefit from the option of a telephone answering and mail-handling services, all on flexible terms. This Brendale-based business centre provides easily accessible offices and warehousing on flexible terms, as well as offering members of the space comprehensive administrative services and support. The offices space comes furnished or unfurnished and is served by a good range of amenities. It has free parking and lifestyle amenities nearby as well as local bus services situated a short 15-minute walk away. This fantastic office space is situated in a prime Brisbane location, and offers beautiful views over the Brisbane river, this centre features flexible office solutions with an emphasis on sustainability and green energy. It is close to Brisbane's law courts, parks and sports arena. Regular buses operate from the adjacent George Street and Central Station is a short ten minute walk from the entrance of the building. Found in a sophisticated office space in an iconic, A Grade building this space is perfectly situated in Brisbane CBD's busy precinct and offers some of the best facilities available. A space that has been carefully planned to include premium end-of-trip facilities, meeting rooms, boardrooms, training rooms, large kitchen, break out space and a naturally lit office design accompanying the uninterrupted views of the hinterlands and surrounds. In under five minutes you can arrive by foot to Queen Elizabeth Courts of Law, King George Square, Queen Street Mall, Central Station, Roma Street Station, Brisbane Transit Centre and some of Brisbane best food and entertainment precincts. This space is just a short distance from Fortitude Valley"s town centre, and offers clients the opportunity to work amongst a complimentary blend of specialist services, within a space designed for productivity and creativity. The centre offers networking events to ensure your business is always in contact with your neighbours and companies from other industries. You can also benefit from access to a fully-equipped communal kitchen and relaxing outdoor areas. Benefiting from undercover parking and lift access, there are a number of excellent offices available in this central Ashgrove space. A friendly and professional staff is on hand to help with your every need, from telephone answering to guest greetings, and the comfortable waiting area is always a bonus in any office. Ideally located just a short walk away from a wide selection of local amenities, including banks, restaurants and office equipment outlets, you'll have no problems running errands during your lunch break, and you'll be spoilt for choice if you're looking for a place for lunch. Parking bays are available at an additional charge, offering an easy method for commuting to the office. Alternatively, buses stop regularly outside the centre, offering regular transport in and out of the city centre.